This Mint Crochet Top Maxi Dress with Open Back is perfect! It is the perfect gown for a special occasion and perfect as bridesmaid dresses! Super elegant, we are loving the stunning crochet top and open back detail. Approx. Length (shoulder to hem): -Small: 60" -Medium: 60.5" -Large: 61"
The dress was long enough for all 5 foot 8 of me. I felt like a princess. This dress was perfect! My favorite color and the style was beautiful. 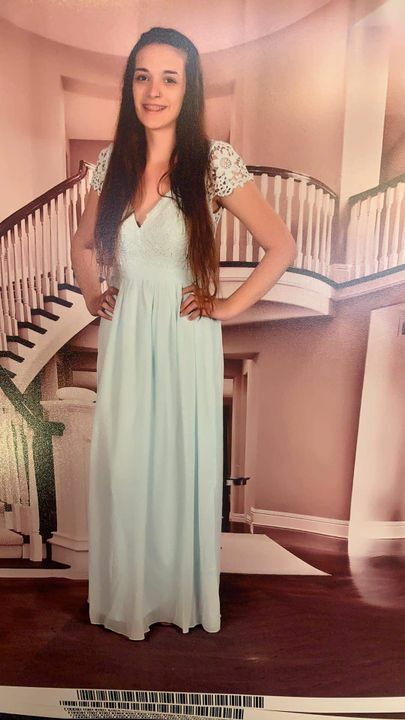 I’m 5’1 and had to have some work done on the dress. 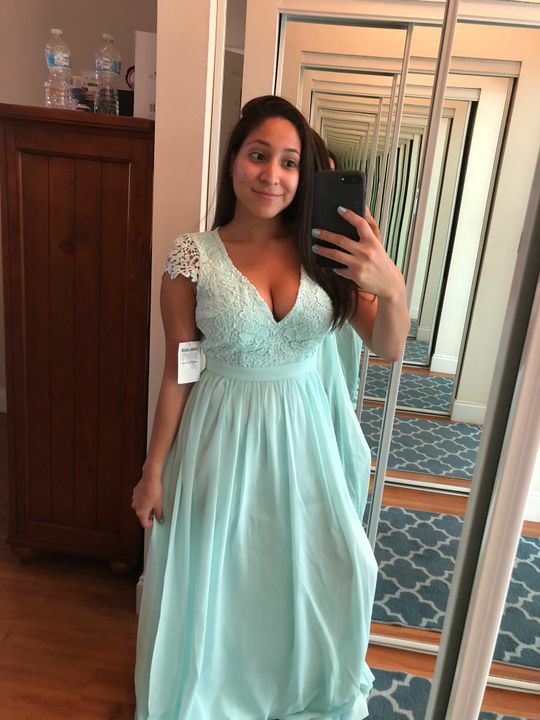 I bought it for my engaged party and it was stunning on me! 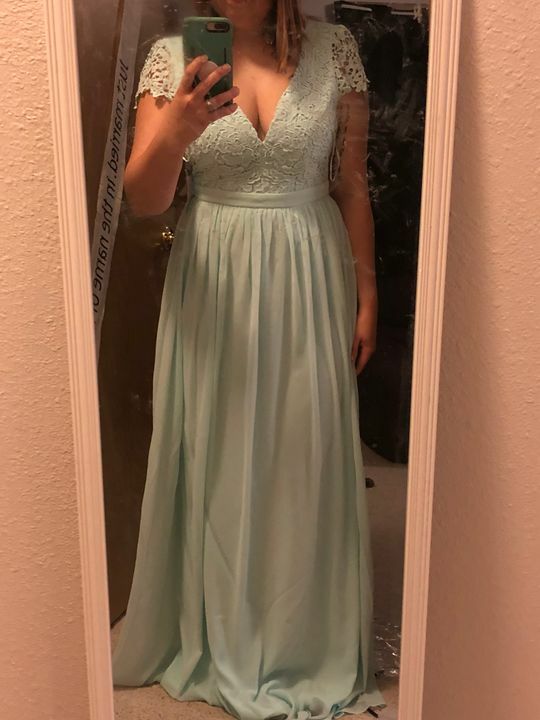 Dress came super fast and is absolutely gorgeous. I’m so excited to wear it.